Angel Falls, aka Kerepakupai Meru or Salto Angel, is located in Canaima National Park in Venezuela. 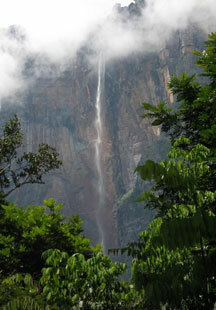 It is the tallest waterfall in the world at 979m (3,212 feet). It was named after an American pilot, Jimmie Angel, who discovered it while searching for ore bed in 1933. 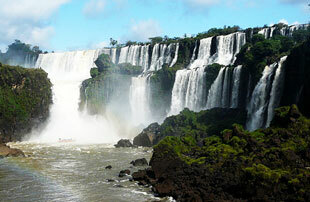 Iguazu Falls are a series of impressive waterfalls located on the border of Brazil and Argentina. It is the widest waterfall system in the world spanning 2,700m (8,858 ft). Victoria Falls is a waterfall located on the border of Zambia and Zimbabwe. It spans 1,708m (5,604 ft) with a total height of 108m (354 ft). 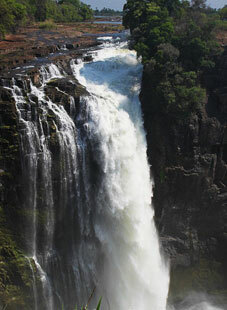 The name Victoria Falls was chosen by David Livingstone in honour of Queen Victoria. It is also known by its indigenous name, Mosi-oa-Tunya, which means cloud that thunders. 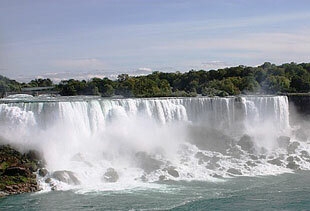 Niagara Falls consist of American Falls, Bridal Veil Falls and Canadian Falls. It may not be the tallest waterfall in the world, but it is probably the most popular waterfall in the world. The volume of water flowing over the falls is astounding. The average flow rate is at 567,811 litres (150,00 gallons) of water per second. Detian Waterfall consists of two waterfalls: Detian Waterfall on the Chinese side of Guichun River, and Ban Gioc Waterfall on the Vietnamese side of the river. 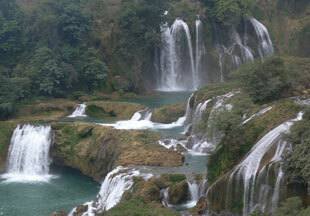 It is one of the most picturesque waterfall in Asia. 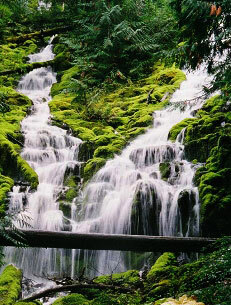 The multi-layered stone waterfall is surrounded by lush, green vegetation. Olo'upena Falls is the fourth largest waterfall with a height of 900m (2,953 ft). It is situated in the northeastern part of Molokai in Hawaii. 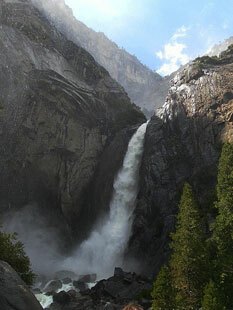 Yosemite Falls is the highest waterfall in North America at 739m (2,425 ft). It is located in the Yosemite National Park in California, USA. 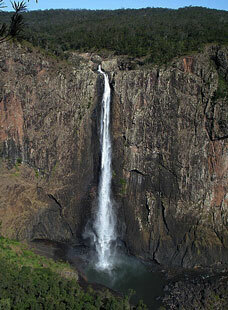 Wallaman Falls is the longest single-drop waterfall in Australia. It is located in the traditional lands of the Warrgamaygan Aboriginal people in the state of Queesland. The waters drop from a height of 268m (879 ft) into a deep gorge. Dettifoss is the most powerfull waterfall in Europe. It is located in Vatnajokull National Park in Northeast Iceland. 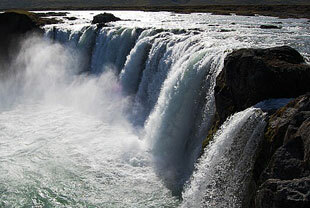 The fall is 45m (150 ft) in height, 100m (300 ft) in width, and has an average flow rate of 193m3/s (6,816 cu ft/s). Cataratas las Tres Hermanas, aka Three Sisters Falls, is the third highest waterfalls in the world. It is situated in the province of Ayacucho in Peru. It is 914m (3,000 ft) high and 12m (39 ft) wide. Jog Falls is the second highest waterfall in India. 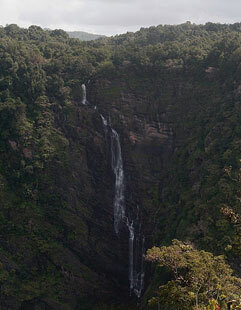 The falls are divided into four segments: Raja, Roarer, Rocket and Rani. It is an impressive sight to see the Sharavati River plunges onto the rocks below. 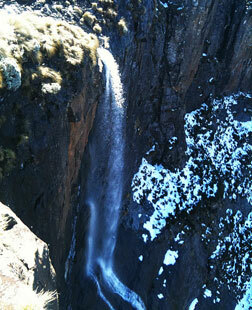 Tugela Falls is situated in the middle of Natal National Park in South Africa. 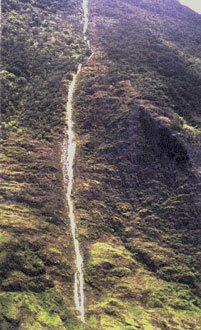 It is considered the second highest waterfalls in the world at 947m (3,110 feet).